It’s clear that, as a whole, we need SOMETHING to deal with our headaches, considering that an estimated 80-90% of the population will experience tension headaches, and 17% of us will experience migraines. In fact, as a nation, headaches are our most commonly talked-about ailment. Over the counter medications can help, but they have a batch of possible side effects of their own with the most common being gastrointestinal issues. And in some cases, drugs like acetaminophen and aspirin can cause rebound headaches that come back with a vengeance as soon as the medication wears off, requiring more and more medication for the same temporary pain relief. For tension headaches specifically, many studies report that massage can be a very effective tool to help decrease both the pain and the need for medication. This makes sense, considering that with tension headaches the muscles in the head and neck contract and cause pain. Massage can help to loosen and lengthen these muscles, causing a dramatic reduction in headache pain. Specifically, many people report feeling a great deal of headache relief when pressure is placed on the suboccipital area, which at the base of the skull, generally directly between your two ears. Other headache relief hotspots include your jaw, your shoulders, and even your hips. Migraines, on the other hand, are thought of to be the result of the trigeminal nerve getting over excited. When this happens, it causes the release of neurotransmitters, which cause the surrounding blood vessels to enlarge. These blood vessels start pulsating, causing the brain to interpret the sensation as pain. And if you’re a migraine sufferer, you’re all too familiar with the extent and intensity of the pain that comes with it that can lead to missed days of work and compromised time with loved ones. 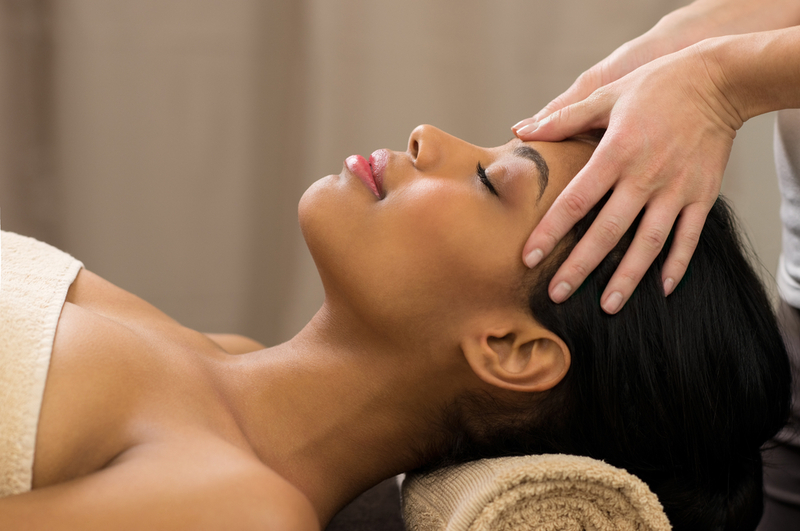 It so happens that massage can help migraine pain as well. One study conducted at the University of Miami School of Medicine found that migraine sufferers, when allowed massage treatment in addition to their medication routine, not only experienced no migraine headaches during the course of the multi-week study, but they also slept more soundly. You may know that massage helps relax tense muscles that can lead to migraine pain, but you might not realize that massage also helps regulate hormones and improve circulation; both of which play a significant role in those who experience migraines. If you experience tension headaches or migraines, talk with your massage therapist about where your headache seems to originate, how often you’re getting them, and what you’re currently doing to treat them. He or she might be able to lessen the intensity of and frequency of your head pain, and reduce your need for medication. And, as always, consult your doctor before using massage as a treatment for your headaches.